With over 3,000 highly varied things on display all closely linked to Poland’s capital, the newly re-opened Museum of Warsaw in the heart of Warsaw’s Old Town is ready to challenge visitors about their perceptions of the capital. Historical silverware, ancient archaeological finds, and souvenirs from the communist period all tell stories that capture the imagination. It’s a little red badge that says ‘Warszawa’, Warsaw in Polish. I stop to take a closer look at it in the Room of Souvenirs during my tour of the Museum of Warsaw, where I’m being shown around by Aleksandra Sołtan, co-creator of the main exhibition titled The Things of Warsaw. The badge is among the over three thousand exhibits on display at the Museum, which re-opened in May after being renovated for over two years. It’s a cheap thing, mass-manufactured around 1955. Something for those who didn’t have a lot of money but wanted to have a souvenir of Warsaw. You see, through our exhibits we show the citizens of Warsaw who had different aesthetic senses, came from different backgrounds. In the same room, you turn around and see an exquisite ornate teapot from the turn of the 18th and 19th centuries, produced at the Royal Porcelain Manufactory in Miśnia, founded by Poland’s King Augustus II the Strong. Unlike the badge made under the communist regime in Poland, this was an item very few could afford: hand-decorated with views of Warsaw referencing the famous paintings of Canaletto, the teapot was accessible only to richest. Two objects, two very different perspectives on Warsaw. This shows the core idea behind the Museum, which is to give a comprehensive portrayal of the city, its history and citizens, through a variety of objects and their unique stories. This ‘tangibleness’ – evidence of physical existence – is the only way to commune with the past in reality. Things are the only remaining participants of past events and witnesses of history. At this point it’s worth adding that the exhibits on display were carefully chosen out of the Museum’s extensive collection of approximately 300,000 items, accumulated over the years through purchases and donations. By no means does the main exhibition resemble a cabinet of curiosities where anything goes. On the contrary, it’s a well-thought-out affair divided into themed rooms (at the moment 8 of these are ready, the remaining 13 are scheduled to be opened later this year). Even though the main exhibition isn’t entirely available to the public, what already can be seen at the Museum easily amounts to an interesting tour that can take well over an hour. The Room of Souvenirs is the home to a number of mementos like the aforementioned badge and teapot and even a 1950s cigarette case with an engraved view of Warsaw’s Old Town. The Room of Warsaw Mermaids is where you can find dozens of representations of Warsaw’s siren-shaped coat of arms. Depictions of people engrained in the capital’s identity can be seen in the Room of Portraits, whereas the Room of Warsaw Views contains paintings and graphics showing how the city changed from the late 16th century until today. The Room of Silverware has a large collection of items from Warsaw, once a major centre of silverware production. Beautiful metal objects can also be admired in the Room of Warsaw Monuments where miniatures of the city’s most iconic monuments are on display (two of these are representations of no longer existing commemoratives). In the Room of Postcards, due to the sensitive nature of the paper on display and the resulting conservation needs, there will be a rotating exhibition – every 3 months visitors will be able to see a completely different selection pf postcards from the Museum’s extensive collection including e.g. nocturnal cards and ones with actors and starlets of the olden days. The Museum’s oldest exhibit is on display in the Room of Archaeology and dates back to the 14th century. 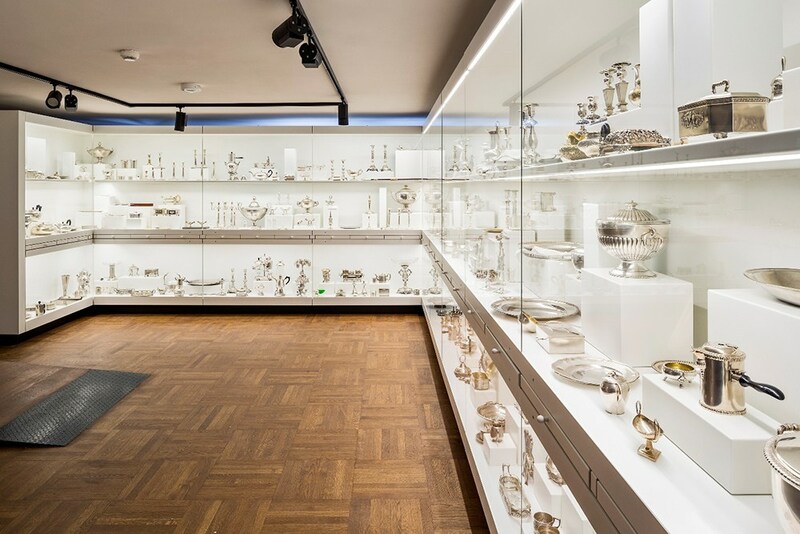 The room holds 14th-century earthenware as well as 17th century silver coins discovered during an archaeological dig… in the actual Room of Archaeology! Despite how odd it may sound, this shouldn’t come as a surprise given that the archaeological section of the main exhibition is located in the basement of the Museum which occupies a complex of historical tenement houses in Warsaw’s Old Town Market Square. Each of the exhibits has a story to tell, carries a piece of the city’s history. The 18th century stand for firing clay pipes in the Room of Archaeology is a find from a site located in the Old Town, just around the corner from the Museum itself. When you read about it, you learn about historical firing techniques, and where pottery workshops used to be located. On the other hand, a 19th century hanukkiah (a lamp for the Jewish holiday Hanukkah) in the Room of Silverware helps tell the story of the Jewish community in Warsaw, which was once one of the biggest Jewish communities in the world, as well as about the diverse cultural heritage of the capital. In the last section of the Room of Warsaw Views we have, among other things, a depiction of the PKO Rotunda, a building that has become historic just recently. It’s almost impossible not to notice that the famous and familiar Rotunda has disappeared from the city’s landscape, which is why this painting strongly resonates with changes currently going on in the city. The complex of eleven tenement houses where the Museum is located may itself be considered an exhibit: the buildings date all the way back to the 17th century. Two of these buildings have an absolutely exceptional historical importance as they managed to survive World War II, unlike 90% of the structures in Warsaw’s Old Town, which were destroyed (mostly during the Warsaw Uprising in 1944) and rebuilt only after the war. The houses in question are at Old Town Market Square 34 and 36. The first sports, among other things, folk-styled polychrome decorations painted in 1928 by the noted artist Zofia Stryjeńska to celebrate the 10th anniversary of Poland regaining its independence. The latter has its original ceilings and inner walls which gives its interior a special, authentic feel. It ought to be said, however, that as an outstanding example of reconstruction, Warsaw’s Old Town was proclaimed a UNESCO World Heritage Site – even though the Museum’s interiors were re-built after the war, their historical character remains intact. Due to this, the premises include a large number of medium-sized chambers and exhibit differences in heights of the same storeys in different buildings. Also, the eleven tenement houses have been interconnected with each other so that you can walk through all of them without even setting foot outside. As a result of all of this, the Museum’s interiors have a strong historic ambience, but can also be a bit of a labyrinth. For example: after going up and down some of the small sets of stairs that are there to provide a convenient passage between different houses you can get confused as to what floor you’re actually on! But, there are plenty of signs (also in English) that’ll help you get you back on track should you lose your way. A lot of information about the Museum complex can be found in the History of the Tenement Houses exhibition, located in the underground. An interactive blueprint of the houses lets you learn about all of their architectural details. Nearby there’s an exhibition which presents general information about the capital – dates, facts and numbers. Called Warsaw Data, it is where you can find out when the city’s first kebab joint was opened or see a table with miniatures of the capital’s highest structures. Moreover, on the highest floor of the Museum there’s an observation point from where you can admire the Old Town Market Square and its surroundings, a real treat on a nice, clear day. 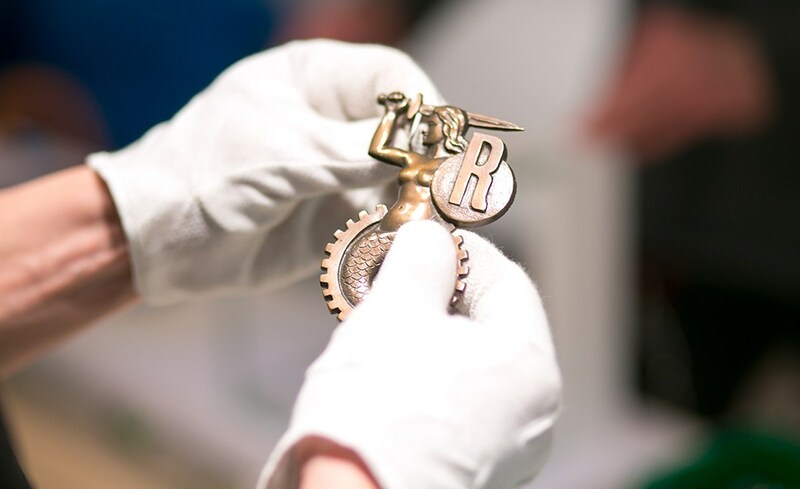 There will be over five hundred medals documenting the history of Warsaw’s medal production from the times when the Royal Court moved from Kraków to Warsaw up until contemporary times. The history of medal manufacturing is the history Warsaw as well, because basically all fields of political, social, economic and cultural life are reflected in medals. All in all, the Museum of Warsaw is an interesting proposition for those who’d like to get in touch with the identity of the capital. Its narrative of the city affects the visitor on many levels: you can see for example what a traditional Warsaw sugar bowl looked like and get a sense of a culinary culture that existed before globalisation really went into full swing, making the world full of the same objects. You can take a stroll inside historical interiors just like some Varsovian did ages before you. For those who’d like to really get to the bottom of things. the Museum offers guided tours (in English as well). Also various events are held at the premises such as workshops for kids and film screenings. The things of Warsaw are waiting to be discovered by you. For more info, visit the Museum of Warsaw's official English website.